Its easy to loose sight of the real reason for the season and thats why I love trying to come up with new ways to put a little Christ back into my Christmas and one of those ways is using my graphic design skills. 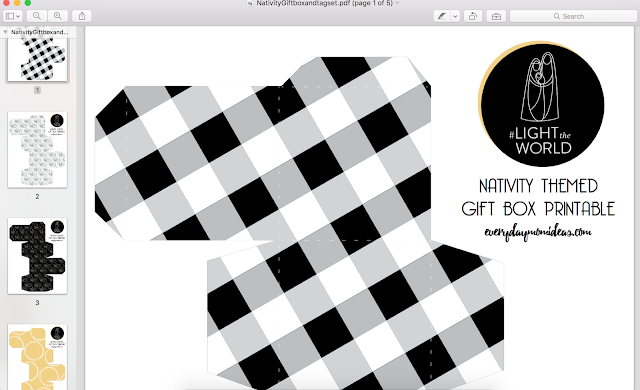 A while back I created a nativity themed digital scrapbooking kit and now I have created this Nativity themed gift box set printable free for you to download and print to your hearts desire. 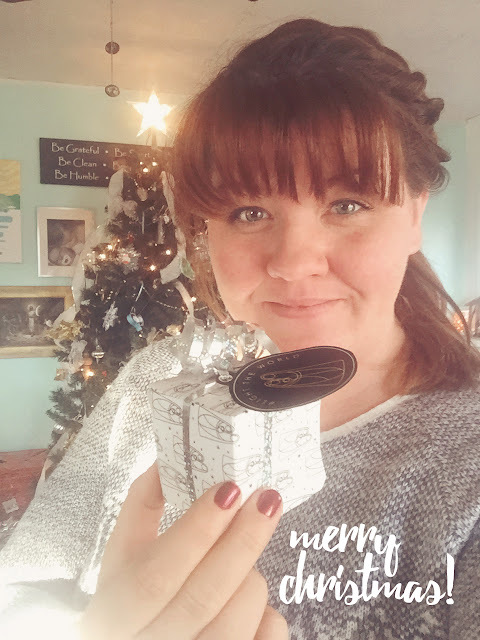 I was inspired by the new mormon.org Christmas Campaign to do 25 acts of service in 25 days leading up to Christmas. To go along with my Nativity Christmas Gift Tags I made last week Ive also designed these coordinating gift boxes. 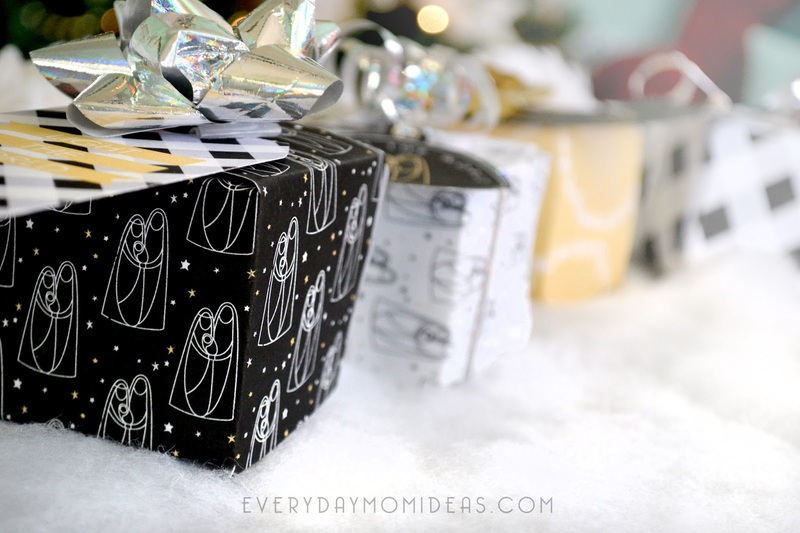 There are four designs to choose from or just print them all! 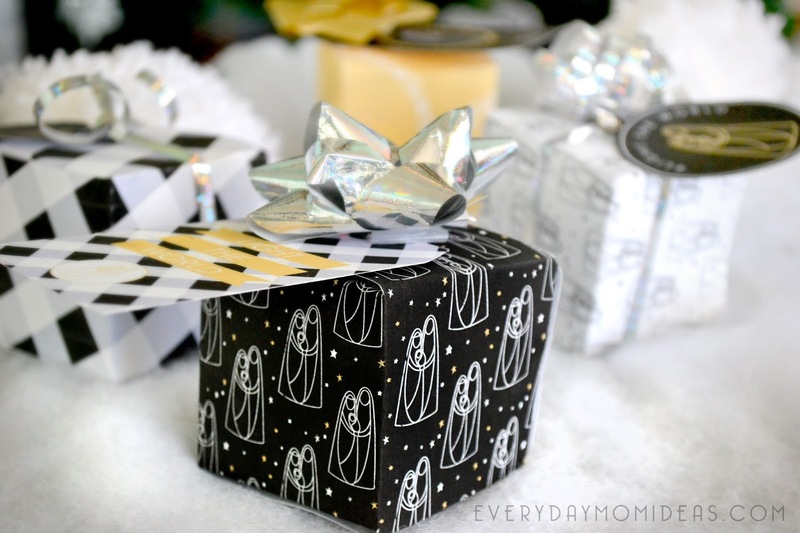 These gift boxes are great for wrapping little christmas gifts or for stocking stuffers. 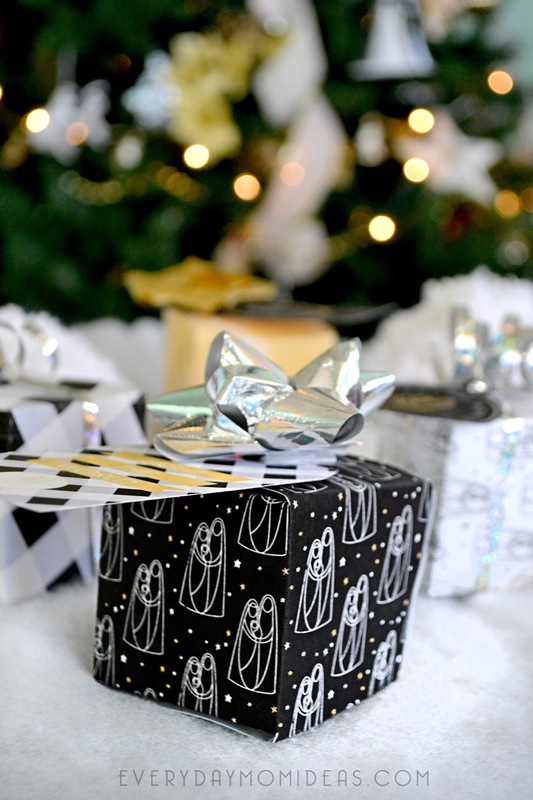 You also save yourself a trip to the store because you can forgo the wrapping paper with these cute little printables you can print right at home. Don't forget the matching gift tags! The Church of Jesus Christ of Latter Day Saints is inspiring others and myself to light up the world and the internet with this incredible Christmas Campaign that we all can participate in. Lets flood social media with our light and our talents this Christmas season by sharing our acts of service with the hashtag #lighttheworld. 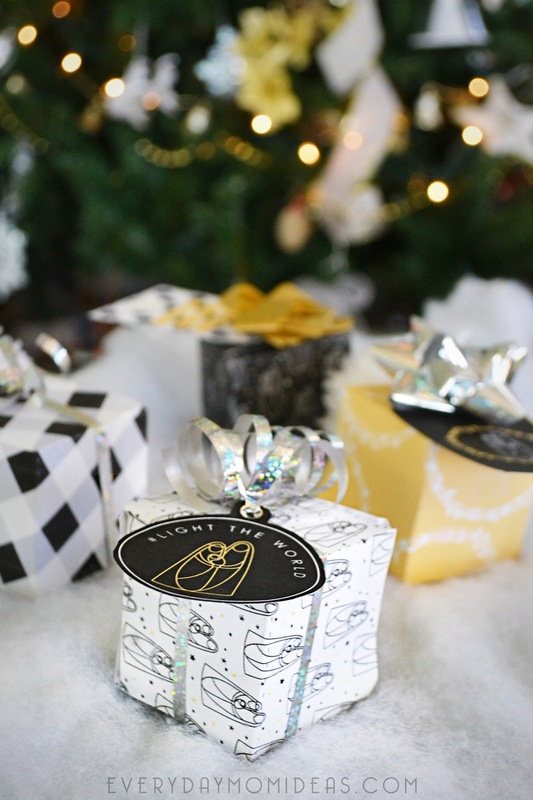 Head on over to Mormon.org to get more ideas and inspiration on how you can do simple acts of service each day leading up to Christmas. To print just use this link to download or print from the google doc. Print and cut out around the edges of the design and fold on the dotted line. You can secure the box with tape but I recommend just using a glue stick. This pdf. printable includes the matching nativity gift tags but if you just want the gift tags or just want to check out more information about the nativity gift tags you can do that by heading over to my other blog post here. Please share this more Pinterest friendly version below with your friends and family! 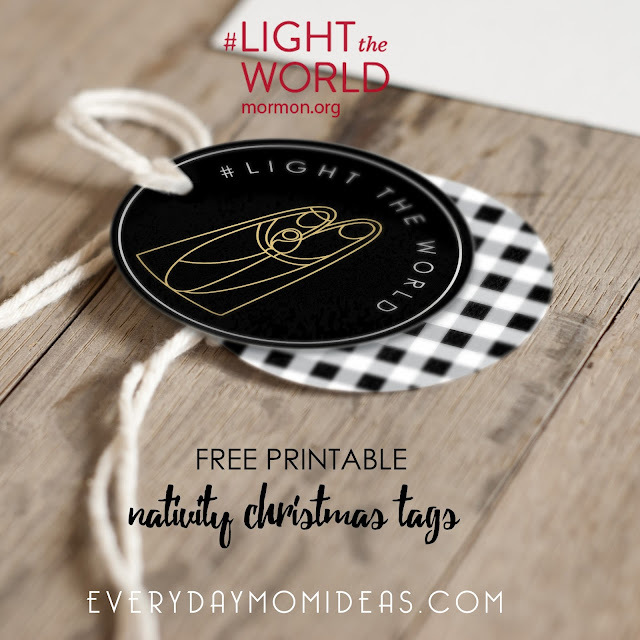 There are some really great bloggers out there who have also made some incredible #LIGHTtheWORLD printable kits. My favorite is the Family Service Jar where it has lots of creative ways to promote doing acts of service on behalf of our savior.